Programmed by the Native Arts and Cultures Foundation and We Can Listen, seven Native American artists share their perspectives through their art. The first half of the program will focus on each artist’s story through their work. 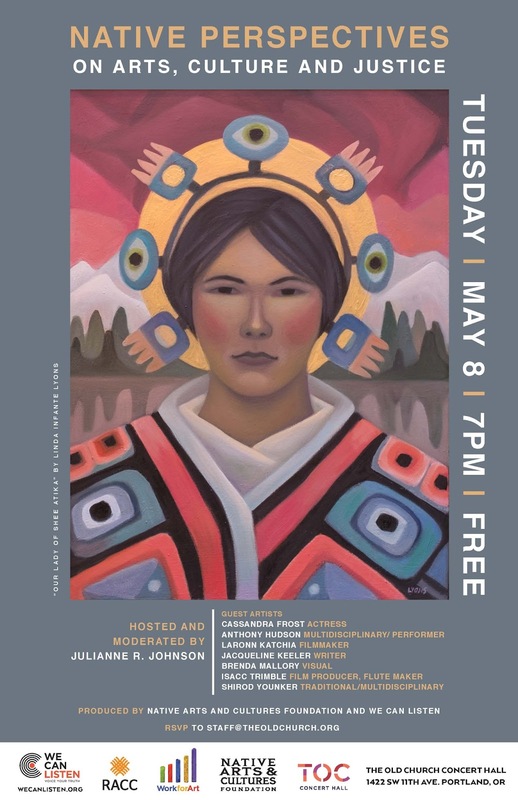 In the second half of the program, the discussion will focus on how the artists’ work addresses justice issues that affect Native communities locally and globally. The conversation will also include an exploration on how the artists’ work address issues around visibility, identity, essentialism and stereotype. 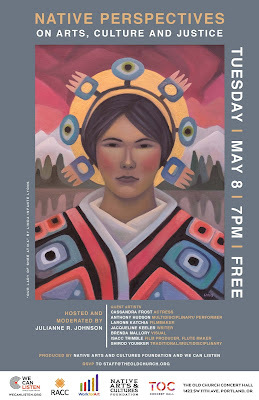 In conjunction with a city-wide movement to raise awareness of Missing and Murdered Indigenous Women – click here for information about another wonderful FREE event we are hosting May 2nd -we will be screening the award winning short film “Missing Indigenous.” Members of the film crew are featured guests in our panel.